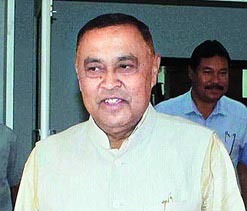 MLA Ranjit Dutta of Assam who attended the Nyokum Yullo festival in Itanagar asserted that Assam and Arunachal Pradesh can resolve its boundary dispute through meaningful dialogue. The Chief Ministers of both the states have been taking measures to find a permanent solution to the border issue, said Ranjit Dutta said at the festival. The Nyokum Yullo festival is celebrated by the Nyishi community of Arunachal every year to invoke God’s blessings for good harvest and communal harmony. Ranjit Dutta stated that “divisive forces” were trying to “destabilize peace” in both states and has urged the people of both states to put a stop to such attempts. Dutta also called upon the Assamese people staying in Arunachal Pradesh to uphold the age-old relations through cultural exchange programmes. “Till 1978 both the states were under one administrative unit of ‘bor Axom’ (Greater Assam). The people of both the states since time immemorial have been maintaining cordial relations,” the Minister said. Nyokum Yullo Celebration Committee Chairman Ha Tatu, said the presence of a Minister from neighbouring state Assam will cement the ties between the people of both the states.